Artificial intelligence (AI), automation, chatbots, and their effects on recruitment and HR. 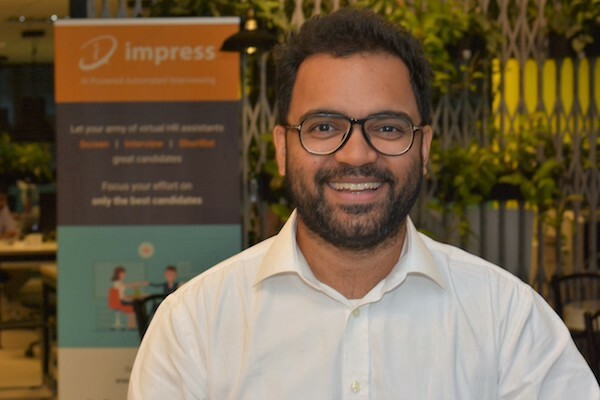 impress.ai, an AI chatbot software for recruiters, partnered with WeWork, a coworking space, to host Demystifying AI for HR on Thursday 19th July, 2018. A quick survey of those who attended the event showed that there is a growing number of people concerned about how AI may affect their job stability. This was one myth which was debunked during the presentation. One key takeaway for the audience was that AI can help them find top candidates who may normally be overlooked based on their resume. Attendees also saw first-hand how the conversational bot shortlists candidates based on competency, while removing bias from the hiring process. While currently focusing on business expansion and growth, Raj brings a decade of experience in human resources. He has built a career in the executive search space, partnering with leadership teams in the financial services, natural resources, and chemical industries. Interested to learn how AI can help your recruitment team improve hiring processes? impress.ai a well funded, Singaporean company and we work with 10 government agencies as well as enterprises including DBS Bank, Accenture, and Singtel. A big thank you to WeWork for hosting this event with us!